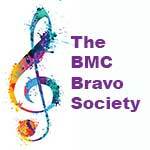 The BMC is seeking a buyer for a beautiful modern violin! Inspired by the artistry of Jaime Laredo, BMC’s co-Artistic Advisor, and the BMC’s vision to create a new music center in Brattleboro, long-time friend Douglas Cox has come up with an innovative way to contribute his support for the BMC’s future. An accomplished violinmaker by profession, in 2009 Doug made a copy of Jaime Laredo’s 1717 “Gariel” Stradivarius violin. Not long after the first instrument was set up and ready to play, Jaime sold the Strad and purchased a wonderful Montagnana violin, so in 2011 Doug made a form patterned after that instrument. 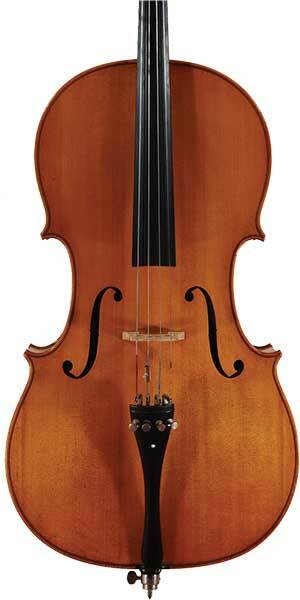 Since then, six violins have been made on the Stradivarius form and three violins on the Montagnana form. One Strad model, one Montagnana model, and three violins patterned after Blanche Moyse’s 1610 Amati violin are available. Doug will donate the proceeds from the sale of one of these “BMC-inspired” instruments, which have a retail value of $25,000, to support the BMC’s Music Moves Campaign. Doug’s generosity requires your involvement to be made complete! If you are interested in playing and seeing these violins, contact Cox Violins directly at (802) 257-1024 or by email: info@coxviolins.com, and be sure to mention the BMC Music Moves Capital Campaign Instrument Sale. More information about Doug and his work are at www.coxviolins.com. About this sale: This cello was donated by a long-time Brattleboro Music Center (BMC) benefactor as a creative way to contribute to the BMC’s future. A lovely affordable modern instrument, it is priced to sell at $15,000. The BMC serves southern Vermont, western New Hampshire and western Massachusetts with quality musical instruction, performance opportunities at all levels, and the inspiration of world-class concerts. About the Cello: The cello bears the label “Ernst Heinrich Roth, Bubenreuth 1979” and a serial number B80824, and is branded with the customary Roth brand in the middle of the inside back. There is a floral “EHR” monogram branded on the button. It is in good condition with a repaired bass bar crack in the table and modest wear to the varnish. The back is cut on the quarter of two pieces of maple of medium-narrow horizontal flame. The ribs are of maple similar to that of the back. The neck and scroll are of maple of less prominent flame than that of the ribs and back. The top is of two pieces of spruce of somewhat irregular medium to fine growth. The varnish is fully applied, of an amber color. The fittings are of ebony.